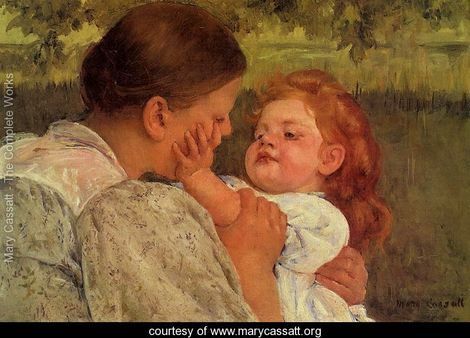 In most parts of the world, Mother’s Day is celebrated on the second Sunday of May. This year it falls on May 13th. 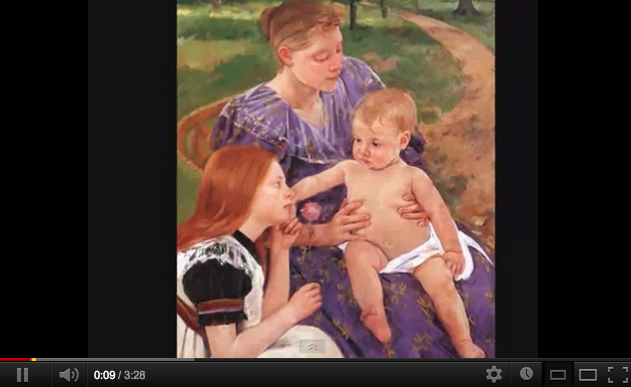 So this week will be dedicated to mothers and all nurturing souls. Mother’s Day has taken on a whole new meaning to me now that I have my own child who depends on me for love, care and guidance 24/7. I have only been a mother for 26 months but all I can say is that it is the toughest, yet the most rewarding role I have ever played in my life. 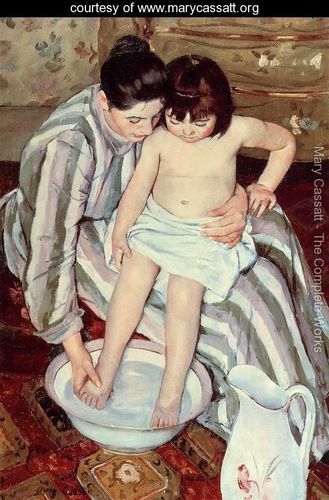 Today I feature the works of American painter and printmaker Mary Cassatt. 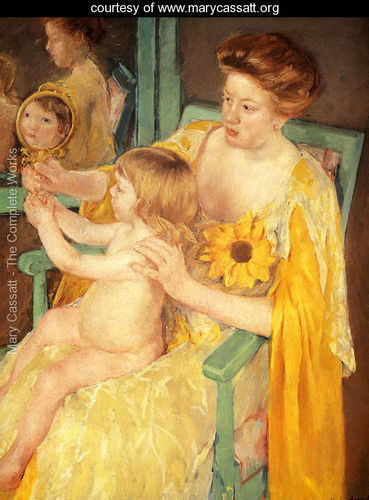 Although she never married or had children of her own, she was enchanted by her nieces and nephews and excelled in painting children, who dominate her subject matter. Bath time is an interesting part of the mother and child ritual. There’s lots of emotions attached to it. It’s always dependent on timing. If your child is in the mood, bathing can be exciting and a good bonding experience. However, if your child is too tired or not in the mood then it’ll be trying for both of you. Raising your child without any help is no easy task and often mothers have little or no more energy at the end of the day. However, I can guarantee you that when your child starts to show affection by touching your face, kissing or simply rubbing their face against yours, all the stress and fatigue melt away. One of the most exciting Mother and Child moments is when your child has his first glimpses of the mirror. They actually think there’s another child in the house (or inside the mirror anyway). And you can tell by their smile that they really want to play together. This entry was posted on May 9, 2012 by Paulina Constancia in Uncategorized.